If you are considering adopting a child, there is a mountain of tasks that should be done in order to be fully prepared for the adoption process. From explaining your choice to family members to decorating the new room, lots of things need to be done to ensure a smooth transition. Adopting a baby brings its own unique set of requirements, including finding a quality pediatrician. While our last blog looked at who to turn to for pediatrician referrals, today will center on qualities you should look for in your search for the child specialist. A is 4 Adoption was founded as an alternative to any adoption agency in California. Our adoption center strives to reduce the inefficiency of the modern adoption system in order to place more children in need with more loving families. Our team will focus on your unique needs in order to tailor custom adoption plan, giving you, the birth mother, and the child the best results possible. When you work with A is 4 Adoption, you’ll receive all of the resources needed to help your new child thrive! One of the first factors to look at when considering a new pediatrician is how accessible they are on short notice. If your child falls ill, it’s important to be able to seek medical assistance from their regular doctor. Pediatricians who offer strange hours or are frequently out of the office should be a red flag. Raising a newborn can also entail multiple doctor visits for regular checkups, meaning that you’ll be spending a considerable amount of time at the pediatric office. This equates to a lot of commuting. When your pediatrician is located an hour away, the consequences can severely hamper your ability to procure medical services for your new child. Parents have their own unique views on what is best for their child’s health, and doctors happen to also hold their own plan for how to best raise a child. It’s important to find a doctor that you and your family gets along well with. When you and your pediatrician are constantly butting heads, the child may suffer the consequences. If the doctor holds strong beliefs in favor of breastfeeding while you’re planning on using formula, the fallout can be serious. Visiting a doctor that you are completely comfortable with will help to foster honest dialogue and promote positive interactions. When you call a pediatrician to ask about their practice, make sure to pay attention to their general demeanor. If they seem hurried or stressed out, it could indicate that they are too busy. Children can be a handful, but sick children often can be even more so. Being a pediatrician implies that you are very patient with kids, but this isn’t always the case. Doctors who are frequently impatient would best be avoided in the long run. This positive attitude should apply to your doctor-parent relationship as well. As new parents, chances are that you will have a landslide of questions to launch at each visit. Finding a pediatrician that can patiently answer your questions and properly care for your sick child is the goal here, so be sure to be thorough! You can learn a lot about a medical practice based on the attitudes and actions of the staff as a whole. As a medical provider, the wait in line at the office should not be consistently too long. The same goes for phone calls, where a long hold time can equate to health risks if your child is in need of medical help. While not common, some practices have been known to conduct business outside of normal operations, putting patients’ safety at risk. When you call or visit your possible pediatrician, it’d be wise to observe how everyone operates, especially under pressure. Using a competent team of pediatric professionals will give you peace of mind for when emergencies occur. When it boils down to finding the ideal doctor to help with raising your new child, logistical planning should come into play. One simple and obvious step is checking with your perspective pediatrician to see if your insurance is accepted there. Surprisingly enough, many people do the research and planning without ever seeing if their insurance plan covers the ideal doctor. If this does happen, your wellness visits and sick appointments will end up costing big! While the private adoption process aims to be simpler and more efficient than utilizing an agency, there are still dozens of boxes that require a checkmark before fully adopting a baby. 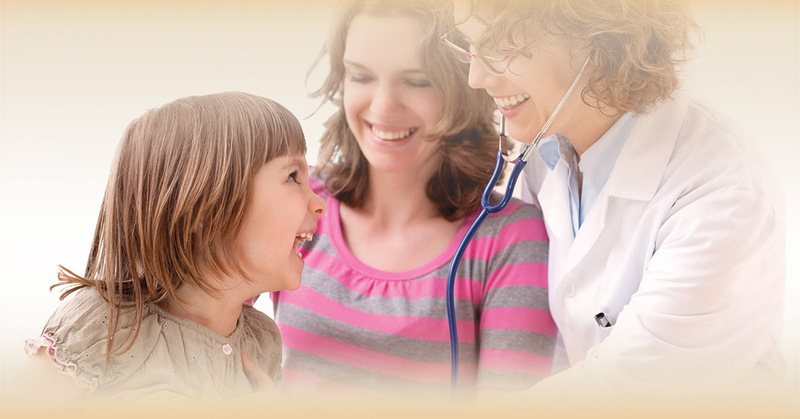 Finding the right pediatrician can result in years of quality medical care from a trusted friend. Picking the wrong doctor, though, will typically yield much less beneficial results. A is 4 Adoption is here to be your guide for the entire adoption process. Compared to your typical adoption agency, our California-based adoption center offers quicker, better, and more detailed results. Working through us means you’ll be receiving the support needed to create a positive environment for the child. In the end, we aim to benefit all parties involved with our unique approach to adoption. Contact us to start your journey today!